The library story is one many Americans believe they can tell; but when their version sounds more like an old episode of Leave It to Beaver than the latest binge-worthy Netflix show, the library profession must reclaim its identity to better reflect the reality of today’s libraries. The notion of telling and retelling the library story is at the heart of Libraries Transform, the American Library Association’s (ALA) new public awareness campaign. 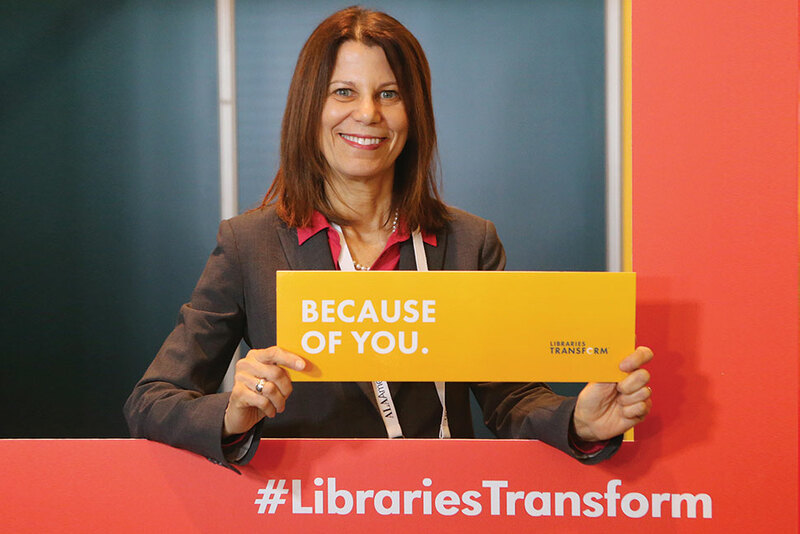 Libraries Transform is meant to give voice to the library profession, providing one clear, energizing message that showcases the transformative nature of libraries, elevating the critical role that libraries of all kinds play in the digital age. How do we shift perceptions of the library from “obsolete” or “nice to have” to essential? How do we energize library professionals? How do we build external advocates to influence local, state, and national decision makers? The campaign messaging that emerged focuses on transformation—not just libraries transforming themselves to address the changing needs of their patrons, but libraries transforming lives through the learning, curiosity, collaboration, and discovery they inspire. The key message is that libraries today are less about what they have for people and more about what they do for and with people. In October 2015, the Libraries Transform campaign launched in Washington, D.C. Street teams engaged individuals in high-traffic locations throughout the city, inviting them to share their knowledge and perceptions of libraries and treating them to a free coffee for their time. 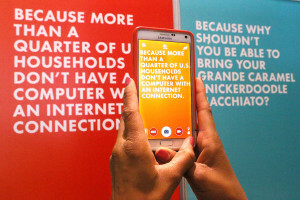 The unexpected nature of the delivery reflected the element of surprise that permeates the campaign messaging—“Because” statements that speak to major library issues like broadband access, information literacy, research, and early learning. Libraries across the nation joined in the launch by hanging banners and posters in highly visible areas and sharing photos via social media. The results? 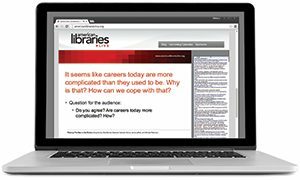 Seven hundred individuals spent three-to-four minutes each taking a library quiz and challenging their assumptions about contemporary libraries. Between social media engagement and banner visibility, the campaign has reached nearly 1 million individuals. This significant reach enables the diffusion of the Libraries Transform message, to gain mindshare and shift sentiment for libraries from something nostalgic to a broader appreciation for the value that libraries provide. 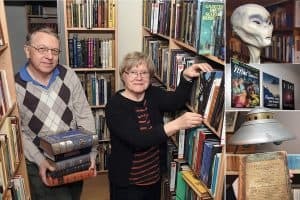 Taking a step back from the specifics of the Libraries Transform campaign, we need to understand why public awareness campaigns are important and what kind of impact we can expect when such campaigns are successful. Do public awareness campaigns really work? They can. Breast cancer awareness has turned our sports arenas pink; men called “Mo Bros” grow mustaches as part of the annual “Movember” men’s health campaign; and the “It Gets Better” movement has leveraged social media to bring people from all walks of life together to stand up against hate and intolerance. But for every successful campaign there are hundreds that never get off the ground. Successful campaigns start with positive messages that resonate with key audiences and encourage them to be part of the cause. In many ways, public awareness is a numbers game: We need many different people and groups sharing stories that support the overall campaign messaging through a variety of channels. There will be those who chat about the library at parties; those who tweet; those who write letters to the editor—all are necessary and valuable in a public awareness campaign. To be clear, Libraries Transform is designed to reframe the conversation about libraries so we can influence key policymakers, thought leaders, funders, and decision makers to increase support for libraries of all kinds. The good news is that according to a recent Pew Research Center report “Libraries at the Crossroads,” “Large majorities of Americans see libraries as part of the educational ecosystem and as resources for promoting digital and information literacy.” The report also cites some decline in the number of people visiting a library in recent years. While it is too early to call this a trend, it signals a pivotal moment for libraries: Now is the time to own our identity and demonstrate the transformative power of libraries of all kinds. Every time a community faces budget hardships and a library is pitted against other essential services, those with the strongest advocates win. Every time a new technology emerges that seems to offer an easier way to do something considered a traditional library service, people question whether libraries are still valuable. In those moments, unless someone speaks up for the library, those misperceptions remain unchallenged. Libraries Transform is about creating a movement that will reinforce perceptions of the library as an essential resource for individual opportunity and community progress. In order to be truly effective, libraries need to support the campaign at the local level. 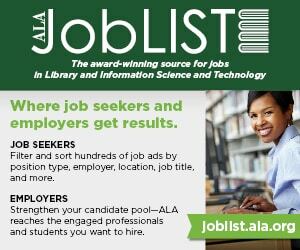 ALA can develop all the tools and resources in the world, but unless member libraries integrate the messaging into their marketing and communications plans, we cannot truly reach a critical mass. How can libraries support the campaign? Help communicate a consistent Libraries Transform message. Ensure that your library’s strategic plan describes how the library is transforming its unique community. Educate Friends groups and encourage them to share stories of library transformations with the broader community. Help library staff see how their individual work is ­transformative—and harness their energy and enthusiasm to creatively express the Libraries Transform message. With the adoption of a new strategic plan in June 2015, ALA is sharpening its focus on advocacy, information policy, and professional and leadership development. Libraries Transform touches all aspects of the strategic plan. It offers opportunities for library leaders to get involved in a national campaign; it provides the key messages that underpin local, state, and national advocacy efforts; and it supports the Association’s information policy agenda by positioning libraries and librarians as information experts. To measure the success of Libraries Transform, we go back to our guiding questions: Have we energized librarians and library workers to own and disseminate the Libraries Transform message? Have we shifted perceptions of the value of libraries such that we see an increase in funding support? And have we built an army of advocates who are so passionate about their library that they will stand up in PTA meetings and community forums; among their friends, colleagues, and neighbors; at budget reviews and in the voting booth, in support of libraries? When we can respond in the affirmative, we will celebrate the ways in which libraries transform. NANCY DOWD is product manager, LibraryAware at NoveList, EBSCO Publishing. HALLIE RICH is communications and external relations director at Cuyahoga County (Ohio) Public Library.